This is Part Three of the three articles I wrote each night after returning home during the process of learning to dive during 2012. Click here for Part One and Part Two here. Everybody says you should learn to scuba dive, but nobody else actually writes about the process - what you have to do, what you learn and how you get tested. Read on to find out about the day I qualified! I can’t believe how quickly the final day of my PADI course came around! But then again, they do say time flies when you’re having fun. Day Three began today with me practically skipping down the road with excitement on my way to Into Scuba Dive School in Hulhumale in the Maldives. I brought with me some tea and biscuits for my Instructor Thomas Badstubner and his awesome team of staff to help to re-stock their kitchen after getting through so many during the classroom theory lessons! I left the theory part behind yesterday when I began my confined water dives. Today I was ready for two open water dives. The first dive was to involve practising a few more skills and the second was set aside just to purely enjoy the reef at one of the best dive sites in the area, Banana Reef. We set off from the dive school just after lunch on the boat, heading for dive site number one, Small Maa Giri. A ‘giri’ is a kind of submerged island which hasn’t risen above the water level yet. This is the site which I also previously visited on Thursday as part of my training. Every day I’ve been feeling more and more confident thanks to the encouragement from my Instructor, Thomas. He’s been a truly awesome teacher, and hit just the balance of getting the important messages across without making it heavy going, plus he threw in some jokes for good measure which made everything even more enjoyable. Yes, he's a funny German. I couldn’t wait to get started so we jumped into the water. We had a look around at some of the coral and reef fish before getting stuck into practising some more underwater skills. The exercises included repeating some things which I did before such as taking my mask off, replacing it and blowing air out through my nose to force all of the water back out of the mask again. We also did some navigation skills. Thomas had showed me while we were on the boat how to use the compass and now that we were underwater he asked me to follow the compass and swim in a northerly direction for a certain distance while he followed close to me, then we turned and I navigated back again due south. After this we explored Small Maa Giri some more, and came across a green turtle and a hawksbill turtle. Thomas also pointed out a scorpion fish to me which was extremely well camouflaged against the rocks. I guess that the more you dive the easier it gets to spot the wildlife! We slowly made our way to the surface to practice some more skills which included repeating the exercise of taking my weight belt off and putting it back on again, and also taking off my BCD (buoyancy control device) and then sitting on the cylinder and bobbing on the waves while I strapped it back on again. We then headed directly to the second dive of the day, Banana Reef. The dive site is famous (not only in the Maldives but also overseas) for being particularly abundant with fish (and that’s saying a lot in the Maldives, where the underwater world is crammed with aquatic life!). It’s also noted for the beautiful hard and soft corals, overhangs and caves which all in all make it a really interesting site to explore. You may be wondering why it’s called Banana Reef, it’s because it’s shaped like a banana. Well, Banana Reef certainly didn’t disappoint us. There were magnificent table corals stretching away into the distance and as we went deeper there were all kinds of exciting overhangs, crevices and caves to look at, covered in coral and hiding all kinds of surprises including a particularly big puffer fish which was a beautiful bright yellow colour instead of the dull brown they more commonly are. 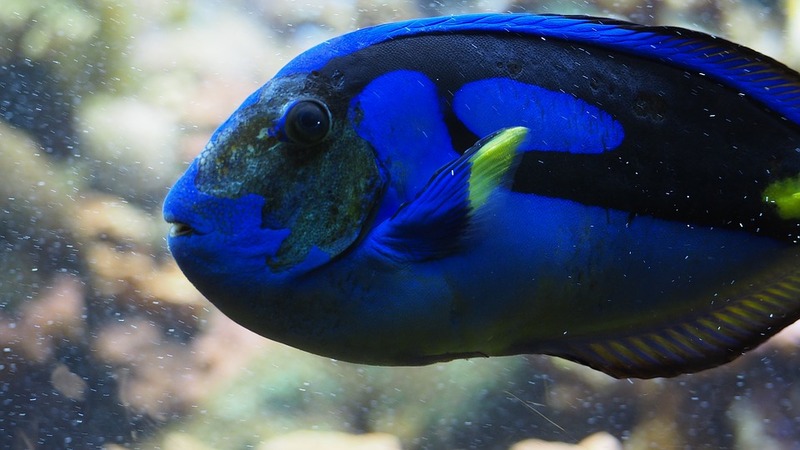 We also saw a beautiful blue tang fish (if you don’t know what this is, think of Dory in Finding Nemo). 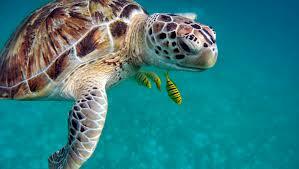 Thomas said that this type of fish is very common in Australia but pretty rare in the Maldives. The corals were predominantly red and pink, in all kinds of beautiful shapes. I felt relaxed as we swam along taking in the scenery, but also exhilarated at the same time. 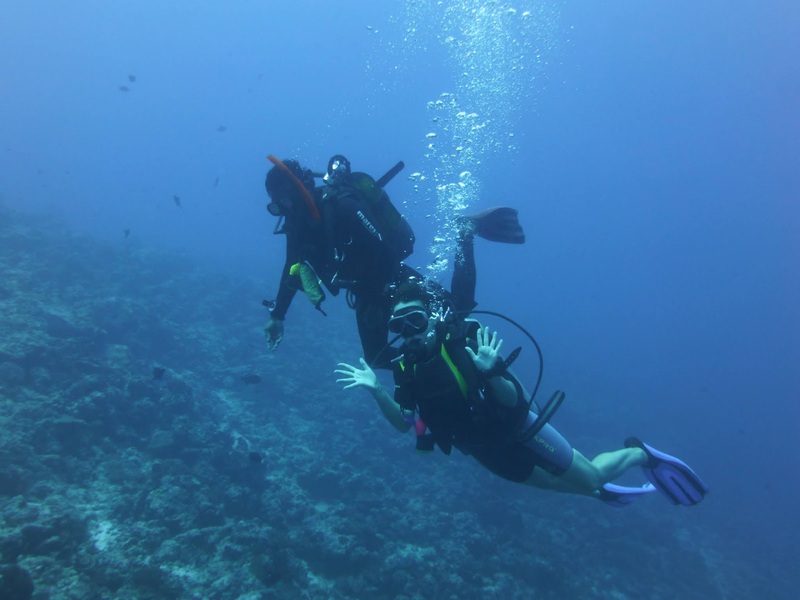 This was why I wanted to learn to dive – the underwater world is truly amazing! I'm now a certified Open Water scuba diver! It was almost the end of my final dive – well, my final dive on my PADI course but certainly not my final dive ever! Thomas shook my hand to congratulate me and unfurled a banner for me to hold saying “Well done, you are now a PADI Open Water diver!” and I had my photo taken. What an experience. Three days of learning and fun have zoomed by. I’ve completed my PADI Open Water course and am now a certified diver! If you’ve ever thought about learning to dive, you must do it or you’ll always regret not trying. Apart from being heaps of fun you get a newfound confidence and a real sense if achievement from it. I've been on over 100 dives since then and become a PADI Advanced Scuba Diver...Next step, Rescue Diver!